Open the package and put the noodle into the bowl. Then cut into small pieces, add all seasoning and mix well before serving or wait for 3 minutes for a better taste. 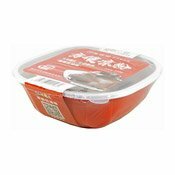 Simply enter your details below and we will send you an e-mail when “Cold Starch Noodles (Chilli Oil) (川北方便涼粉 (紅油))” is back in stock!